Missing a few? Need certain issues to complete your set? Here is your opportunity to fill in those hard to find missing copies of the Mountaineer Heritage. 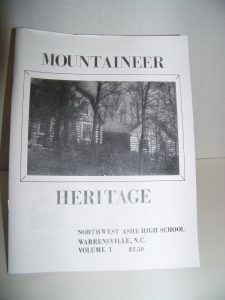 We have all 20 issues from Northwest Ashe High School as well as the 3 from the consolidated Ashe County High School. We even have the extremely rare single issue of the Timberline published at Ashe Central in 1975! And even if you have all of the issues you need the new, never before published, comprehensive index complied by the Ashe County Historical Society. The index makes finding that particular article you’re interested in a breeze. 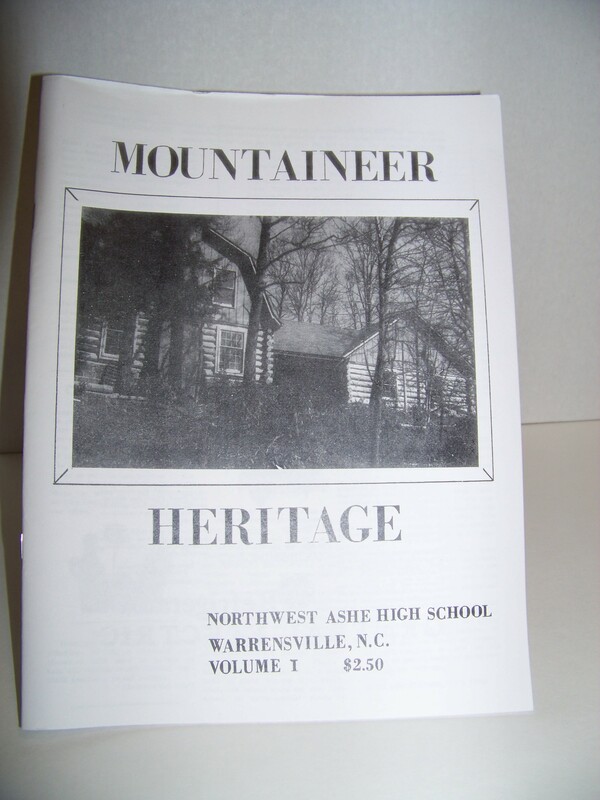 A must-have for anyone with an interest in Ashe County’s history!